Before I get started, let me just say, I live in southern Kansas in planting zone 6b. This means that our last frost date is April 15 and our first frost date is October 15. I have a pretty long growing season, but I also deal with lots of major heat in the summer! It’s been in the mid- to upper nineties here since the beginning of May! Usually once July hits we’re looking at 100 degree days until September. Our weather is also super volatile. 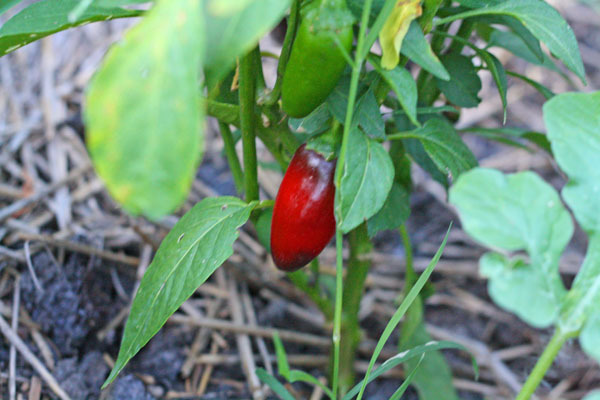 We get extreme thunderstorms, (involving straight line winds and hail and the occasional tornado), plus we also get lots of really windy days in July that combined with the heat, create a convection oven scenario that can cook your garden to death. 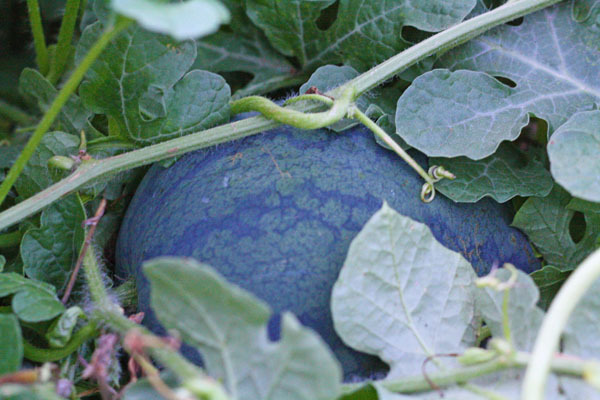 Watermelon– I find watermelon extremely easy to grow! I literally put my seeds in the ground and don’t worry about it. It does require watering during our hot summer months, but other than that, it seems to be a plant it and forget it type of fruit! 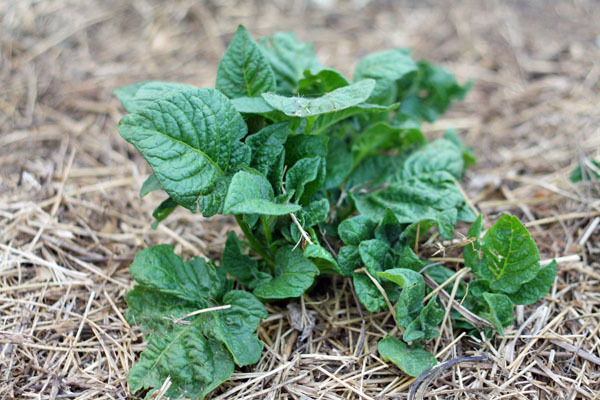 To plant, wait until your soil is warm, then plant your seeds about an inch deep. I like to put 2 or 3 together in a group then space them every 4 feet. I don’t plant them in a hill like the seed packets say. Just a word of warning- the vines really spread so make sure you have lots of room!! I haven’t tried growing them vertically yet, but that may be an idea for those of you with a smaller garden. My favorite variety is Crimson Sweet or anything orange. This year I have several Crimson Sweet volunteers from last year, so I’m letting them grow. This may be my easiest watermelon year yet, lol! 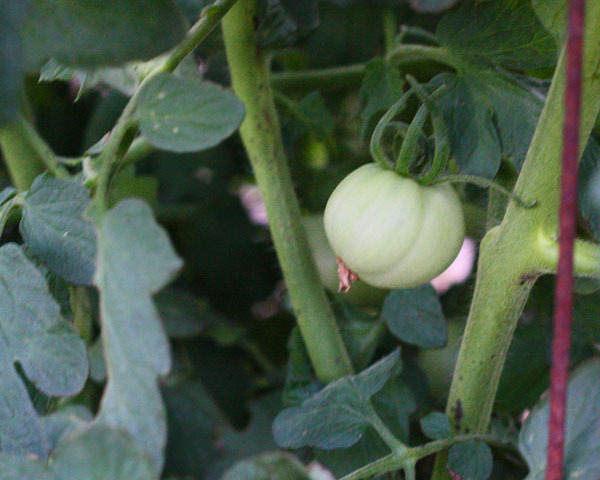 Tomatoes– After I tweaked my tomato planting method, I find them very easy to grow and prolific producers! During my first year of using my method, I planted 9 plants and harvested enough tomatoes for a couple batches of salsa, plenty to have around for fresh eating, and enough for my in-laws to have as many as they wanted! My favorite variety is definitely Jetstar. It seems to do phenomenal in our Kansas weather. It also makes a great salsa and soup. Any cherry variety produces very well, too. I’ve tried several over the years and they all do well. You really only need 1 or 2 cherry tomato plants, though. They also produce more than enough for my entire family- including extended family! 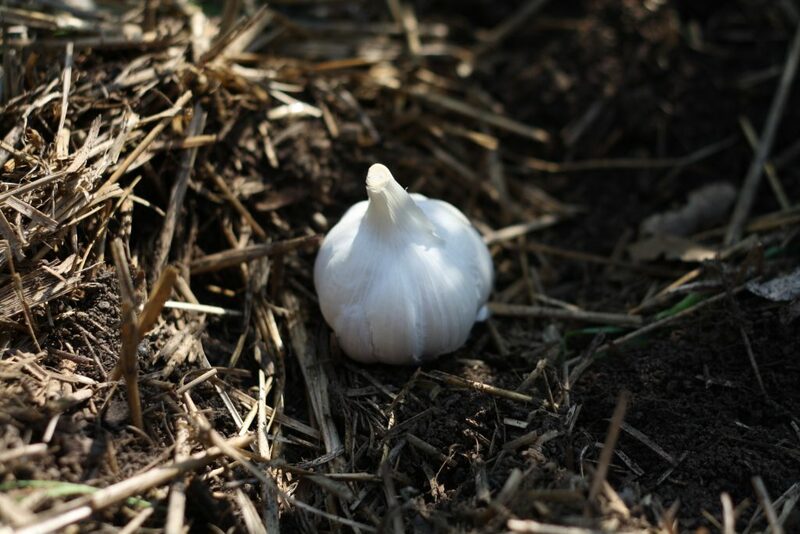 Garlic– This isn’t as common of a veggie (and yes, it is mostly considered a root vegetable! ), but it seems to be super easy. A few years ago I had some garlic bulbs that sprouted in the cupboard, so on a whim, I buried them in my flower bed. Lo and behold, they grew! I had read somewhere years ago to plant them in the fall, so that’s what I did. These were just run of the mill grocery store variety garlic. Nothing fancy. I grew the biggest bulbs I’d ever seen! Since then I’ve just replanted my own in the fall and every year they grow without anything from me. OK, so did you notice my list did not include some common garden staples like green beans, sweet corn, and strawberries? That’s because I struggle with those! My parents plant acres of sweet corn every year, so I don’t bother with my own anymore, but when I’ve tried in the past, something has always gone wrong! I grow green beans every year, but only one year out of the past ten have I gotten a decent crop. And we all know my strawberry saga, right?? 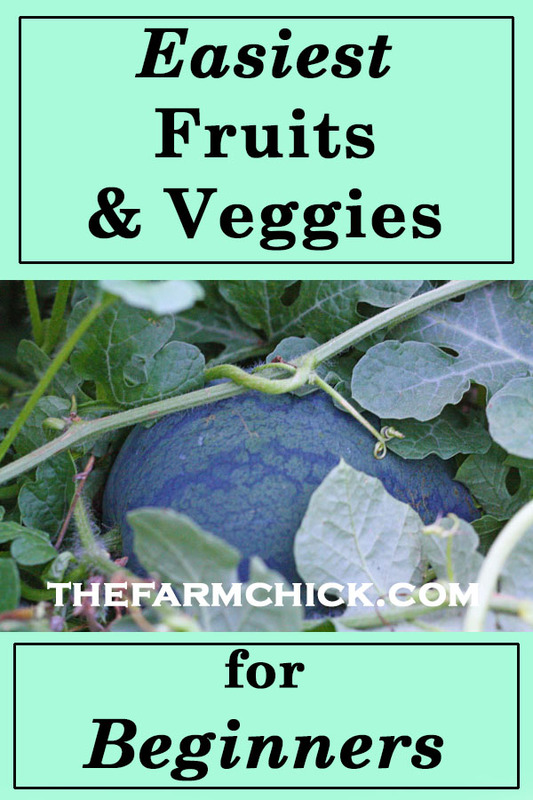 I have also had luck with some other veggies (like popcorn, Indian corn, and zucchini), but not on a consistent basis, which is why I didn’t include them in my easiest fruits and veggies for beginners list! The food that I listed above are true plant-it-and-forget-it fruits and veggies. In our harsh Kansas summers, I figure if these things can stand up and thrive, then they’d probably work almost anywhere. The only issue may be for some of you northern gardeners. 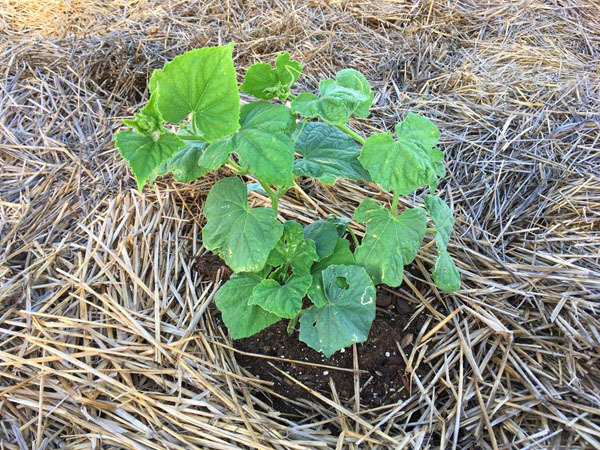 You guys know your climate better than I do, so you may have to tweak how you grow things. OK, guys. Give me your own list! And tell me what zone you’re in. We can all use gardening tips and suggestions, right?? ?